Snowy Clouds contains two works of haiku by C.J. 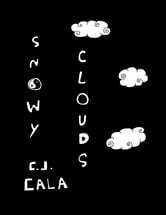 Cala (Seeds of Snow & Careless Clouds). C.J. Cala is the author of numerous “schizonautic” texts that are centered on exploring the relativity of holistic reality.